Spanning 600 meters in length on an asphalt road with curves that twist and snake, it’s called Kartzone. 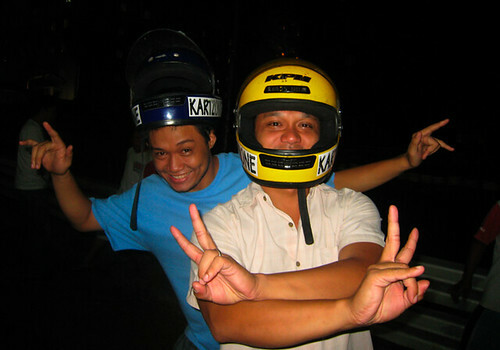 At 9 p.m. last Tuesday, while the black sky enveloped Cebu, flood lights radiated on Kartzone. 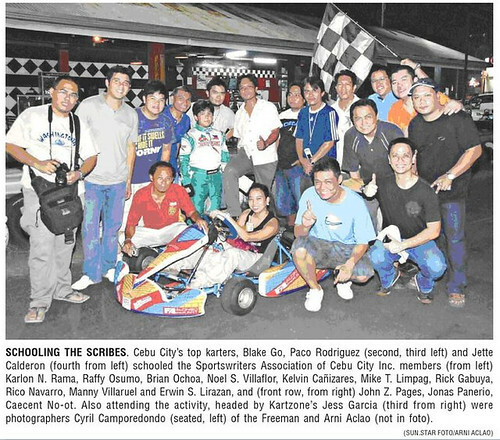 The Sportswriters Association of Cebu (SAC), our group whose sporting words you read about each morning, converged to tackle the one sport that’s defined by one word: Speed. The 15 or so of us sportswriters donned yellow and red and blue helmets. 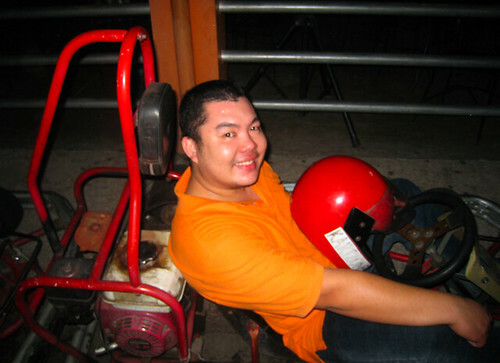 Next, we saddled inside tiny four-wheeled vehicles called go-karts and then, we bolted. We dashed off the pit stop like Michael Schumacher, zipped through the stretch like Lewis Hamilton, and scampered past each other like a Kimi Raikonnen. “Grabe ka lingaw!” Sun.Star’s sports editor, Mike Limpag, would say. Mike’s right. We had fun. Our arms stiffened as we gripped tight the steering wheel. Our lips curled and smiled as we attempted to overtake. Our right legs pushed the accelerator as we sailed during the full stretch while our left legs stepped on the brake to navigate through the corkscrew turns. All this while the 100-cc engine revved and our body’s only piston—our hearts—pumped. All thanks to our host that night, Jess Garcia. 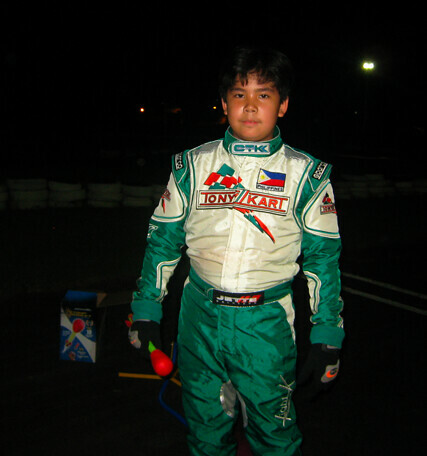 A lawyer by profession with the J.P. Garcia & Associates, Jess Anthony N. Garcia’s passion is karting. He started in 1996 when he chanced upon listening to Mike Potenciano give a lecture at the Cebu Business Park. Since then, Jess has, as the saying goes, “zoomed full steam ahead.” In 1999, he won the National Intercon-A Championship which made him the Clubman Karter of the Year. He went on to win numerous trophies including, in 2006 and competing in the ROK 125 Class, the National Championship—which garnered him the accolade of being the RP representative to the ROK 125 World Finals in Lonato, Italy. True. As your sportswriters will attest, the corners were tricky and dizzying; the long stretch a quick flash. Jess Garcia lectured us on the ABCs of Karting. He also introduced us to two high-profile names of the sport—Blake Go and Jette Calderon—who, after slipping on their full gear, raced one-on-one. What a sight! While the sportswriters zoomed at lap times of 49 seconds, Blake and Jette rocketed at a time of 28 seconds! 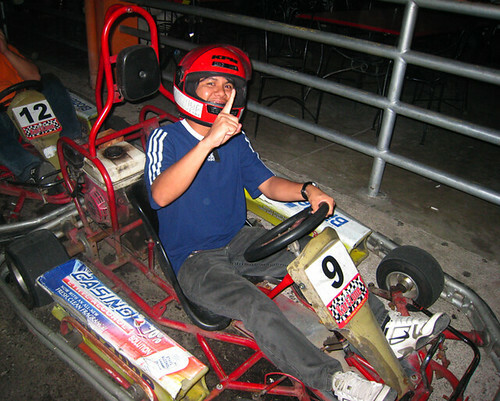 Jun and Janette Calderon, the proud parents of Jette, stood at the sidelines all-smiling as their 11-year-old son (who’s one of the country’s best at the 60-cc, 12-and-under category) dashed beside us at, would you believe, speeds of up to 100-kph! 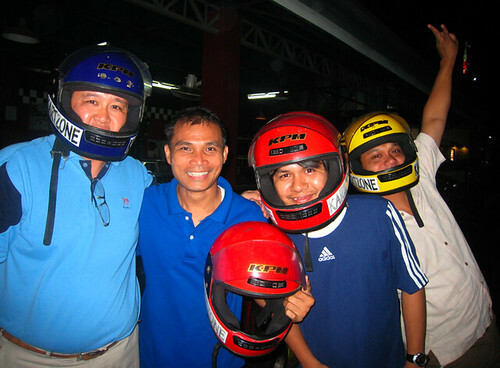 Thanks to Kartzone, the Cebu Racing Group boasts of developing many national champions, including Matteo Guidicelli (2-time karter of the year), Janjan Gonzales (Formula SL National Champion), Paco Rodriguez (Cadet National Champion, Rok Jr. National Champion), and many other multiple winners like Manger Calderon, Santiago Go and Lord Seno. This champion group also includes the children of Neil and Mia Carcel: Tonyo and Kali.